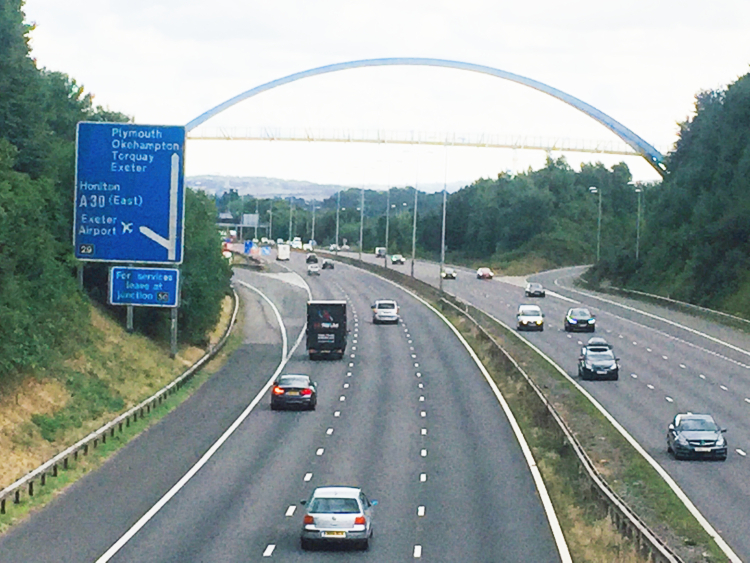 Learner drivers on motorways – it is now just over two months since learner drivers were allowed to drive on a motorway – but only with a fully approved driving instructor in a car fitted with dual controls. There was a lot of discussion on various sites regarding this prior to its introduction. Opinion was divided over whether this was a good idea or not. Many ordinary drivers were worried about the impact of ‘lots of learners suddenly being let loose on the motorways’ whilst the vast majority of driving instructors saw it as a long overdue addition to the training of new drivers. So how have driving instructors approached this new opportunity? Have the motorways become clogged with learner drivers? Have there been any serious incidents on the motorway involving a learner driver? For us at Training Wheelz we have used the motorway fairly sparingly. We only take learners on the M5 who are close to test standard – as advised by the Driver and Vehicle Standards Agency (DVSA). For our learners in the Cullompton area, it has made a big difference in the time taken to get in to Exeter and we have taken learners on the M5 also between Junctions 29 and 31. Joining at Junction 30 going northbound, for example, is quite challenging as the off-slip road for Junction 29 is combined with the on-slip from Junction 30! We have hardly encountered any other learners on the motorway either so the worries of some members of the public that there would be lots of learners have not been realised – nor has there been any report of any incident on a motorway involving a learner. For us, the evidence from our learners is that this has been an overwhelmingly positive experience. They have already had to cope with some challenging dual carriageways – leaving and joining the A38 at the top of Haldon Hill and the A380 at telegraph Hill for example – both slip roads are far more challenging than the straighter, longer slip roads to join or leave a motorway. Apart from taking learners on the motorway, we also offer new drivers who have recently passed their test the opportunity to get more experience on the motorway. We also get the occasional foreign driver wanting to get some experience of motorway driving in the UK.